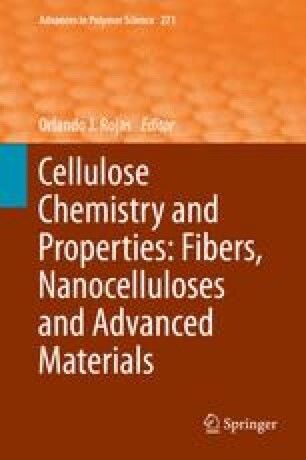 Cellulose nanocrystals (CNCs) are renewable, sustainable nanomaterials, typically produced by strong sulfuric acid hydrolysis of lignocellulosic biomass. CNCs can self-assemble in aqueous, and other, suspensions at a critical concentration, or under evaporation, into chiral nematic organization to exhibit anisotropic structural color. The degree of sulfation is critical for producing both stable colloidal suspensions and iridescent films by evaporation-induced self-assembly. CNCs also possess electromagnetic and piezoelectric properties, as well as active surface groups that render them suitable for tailored functionalization. This chapter presents a framework of how CNCs can be used to (i) template in/organic mesoporous photonic and electronic materials and structures, and (ii) develop sustainable, flexible electronics. Using a novel supramolecular co-templating approach, the first example of functional, mesoporous, photonic cellulose films, or nanopaper, has been produced. The CNC-templating approach is a scalable, effective tool for imparting long-range chirality in a number of distinct materials (polymer, silica, metal oxides, carbon) with promising applications in, for example, optoelectronics, biosensors, actuators, functional membranes, 3D printing, and tissue engineering.